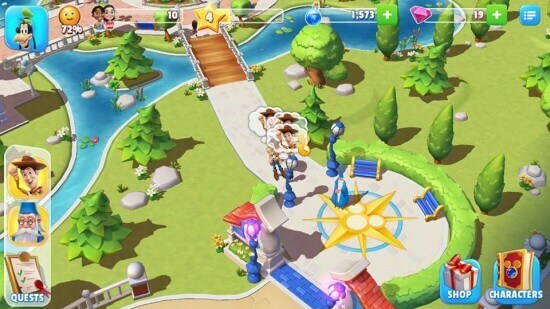 Last year during the D23 Expo, Disney Interactive surprised fans with the announcement that a new mobile game called ‘Disney Magic Kingdoms’ was in the works for 2016. Fans waited with baited breath and now the time has finally come for the game’s big release on March 17. 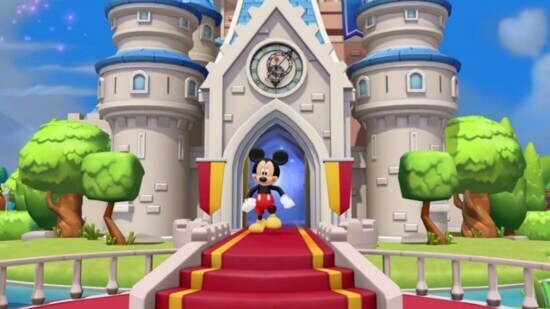 Created in the nostalgic style of Roller Coaster Tycoon, ‘Disney Magic Kingdoms’ is all about building that virtual Disney theme park you always dreamed about. This game features a barrage of popular Disney theme park icons to build and a challenge in a quest to rid the Kingdom of a curse with the help of Mickey Mouse and a plethora of other familiar Disney characters. 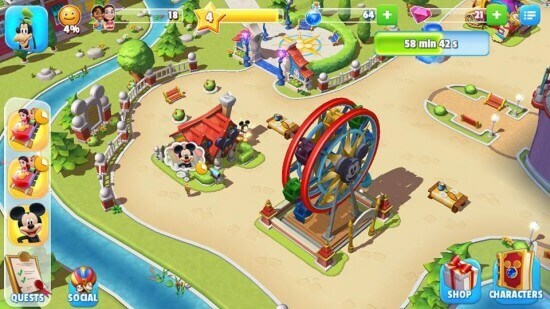 The concept of play in ‘Disney Magic Kingdoms’ isn’t foreign to anyone who has played old classics such as The Park or Roller Coaster Tycoon. ‘Disney Magic Kingdoms’ is a multi-layered game that offers enough simplicity for children to follow but enough intricacies to make it enjoyable for adults. While exploring a highly themed world, furnished with amazing graphics and familiar Disney sounds, you multi-task between building your park, defeating the evil curse and keeping your tiny guests happy. I’m certain that collecting the different attractions, concessions, decorations and even characters are going to turn into an obsession for several Disney fans. 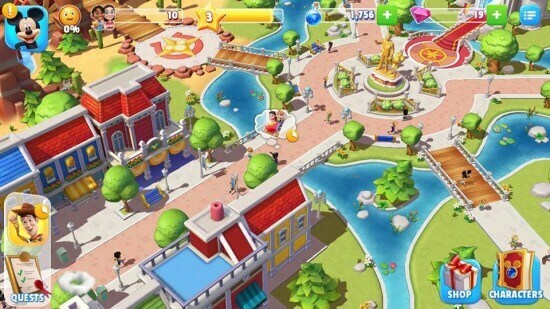 Even though the mobile game is steeped in simplicity of world building there is enough charm and extra pizzazz to make it feel fresh and new. 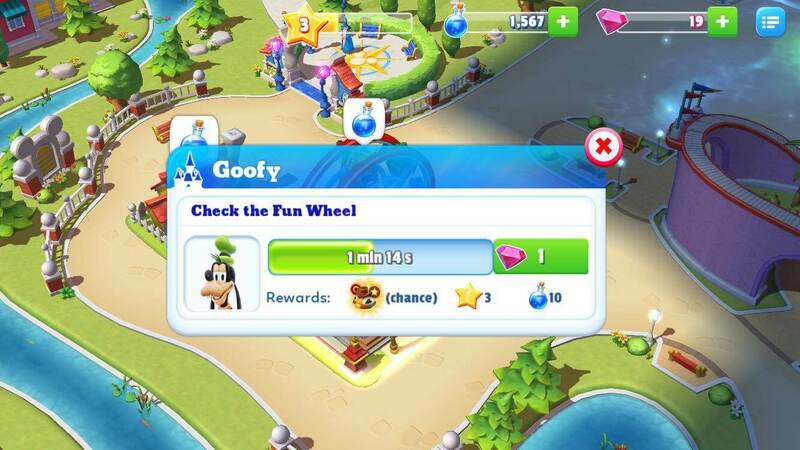 Disney has also succeeded yet again to create another game that will give them unlimited possibilities to grow by adding new attractions and characters to bring back their audience. So what is the downside of this exciting new mobile game? The free app has numerous avenues built in for you to spend some money, which probably comes as no surprise to anyone. 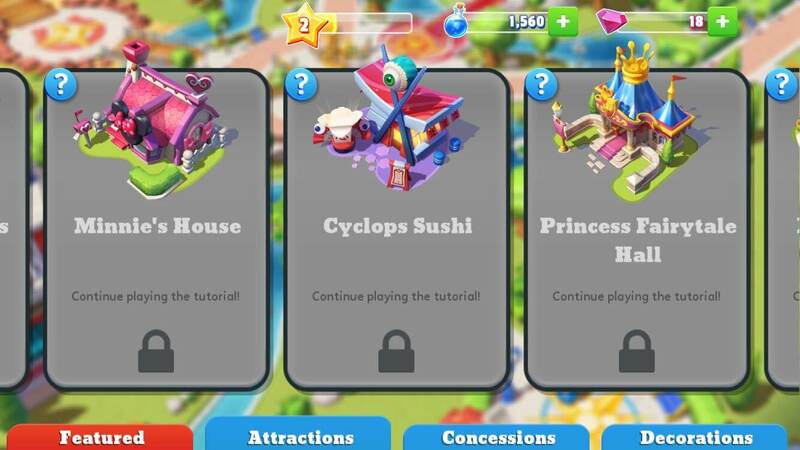 This is not something new in any mobile gaming and as per usual, if you, for example, want to acquire an attraction immediately or not be obliged to wait to reach level 2, you need to spend some dollars. 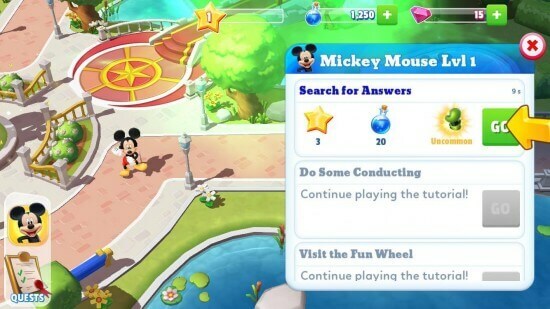 But ‘Disney Magic Kingdoms’ does make it easy to avoid by just being patient. 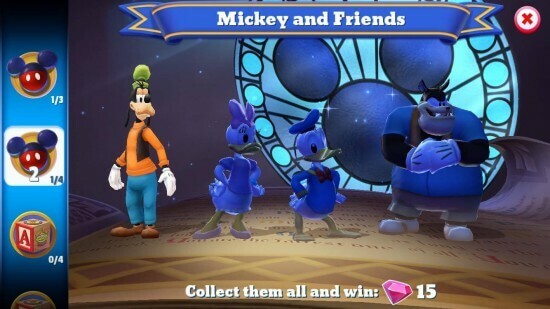 You start the game with the character Mickey Mouse and the Wizard Merlin that takes you on a quick tutorial of the game while sending you on your first quest to lift a curse. It’s very easy to pick up how to play the game. 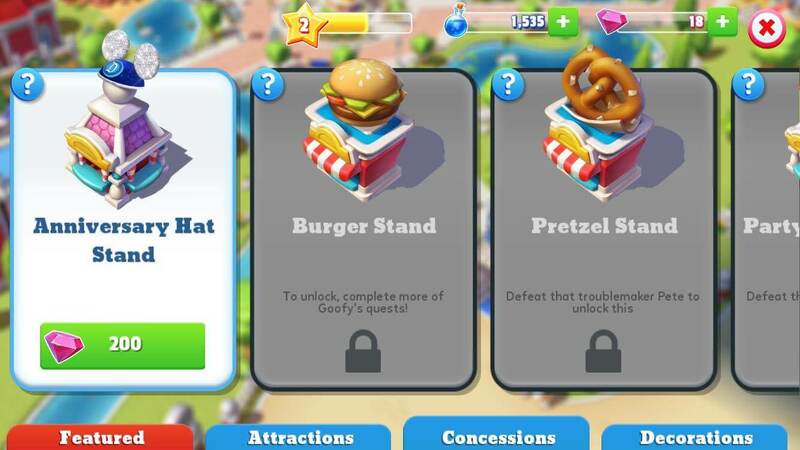 After passing your first initial quest, it’s time to start building on your park. 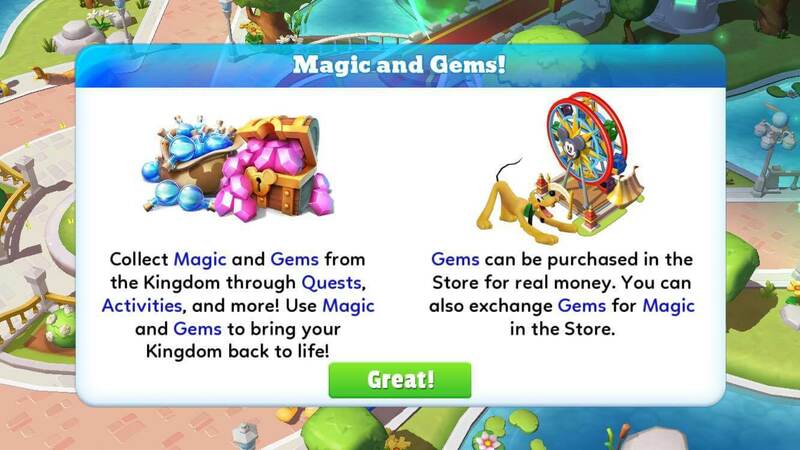 Magic and Gems help you pay for the different attractions and decorations. 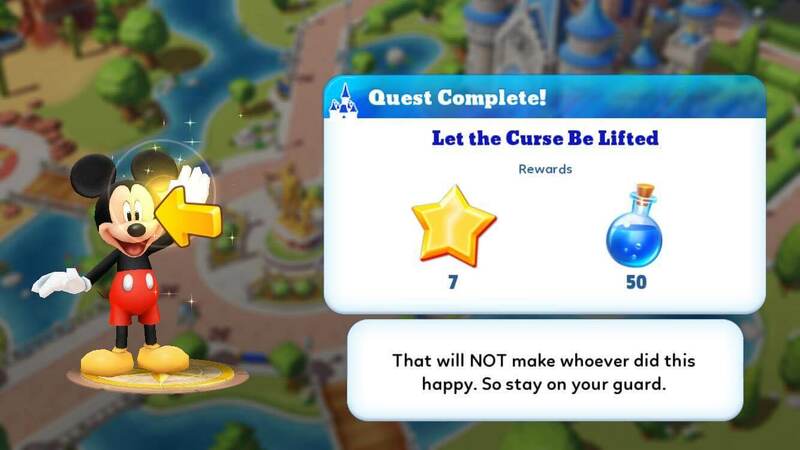 You also continue getting quests to accomplish to move up levels. This is the part of the game where the collection obsession comes into play as there are a multitude attractions to acquire. The game took influences from the Disneyland Resort in California, Walt Disney World Resort in Florida, Disneyland Paris and more to design its attractions. 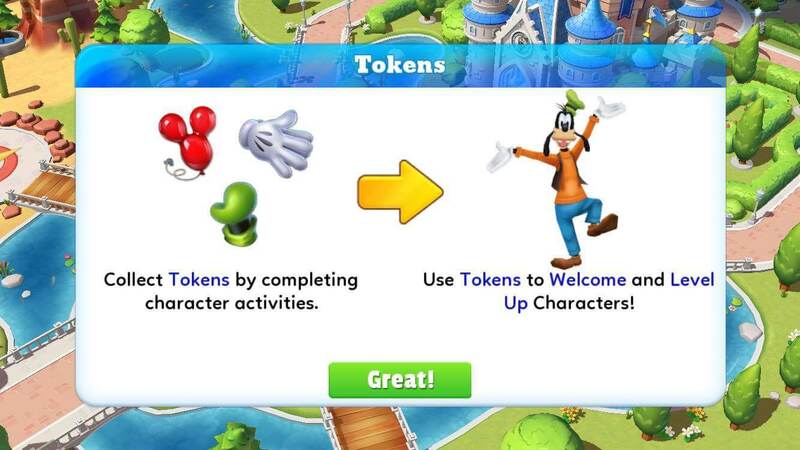 The more quests you play, the more Disney characters become involved and you start to collect them too. 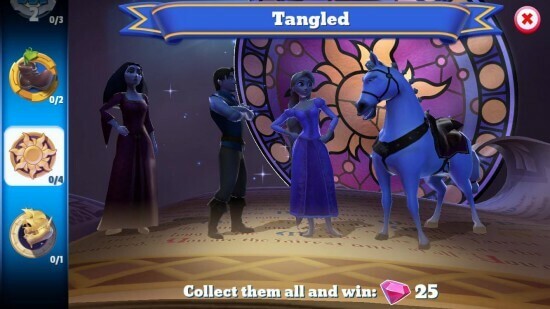 There are currently everything from Pixar to Tangled characters to get your hands on. 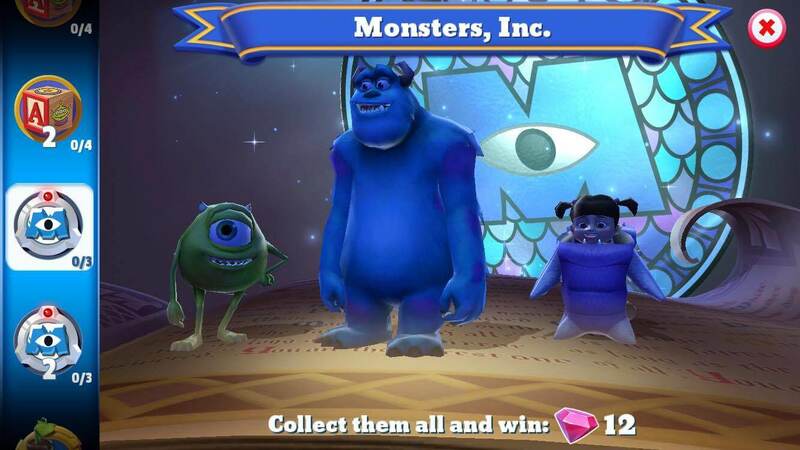 Each character also offers the possibility to advance their level, which you do by collection tokens in the game. As you continue to progress in your theme park building, the guests start to arrive and a good number of the quests turn into making them happy and granting wishes. Making your guests happy also has the bonus of extra awards. 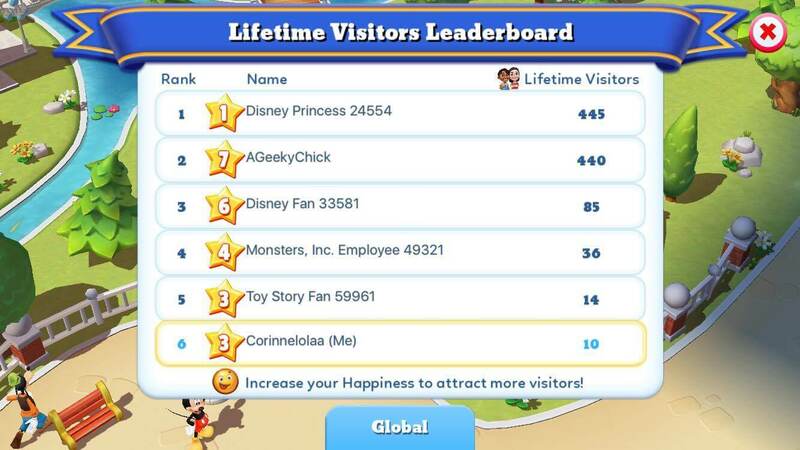 There is also a social media component to the game where you can connect it to your Facebook so you can visit your friends’ parks and see how well you are doing compared to them. All in all, I must say that this is one of the most exciting and advanced mobile games Disney Interactive has released so far. The multitude of different activities that goes into playing makes sure to not make it tedious, and the added component of collecting makes sure that you will play for a long time — especially if you are a collection completist just like me. 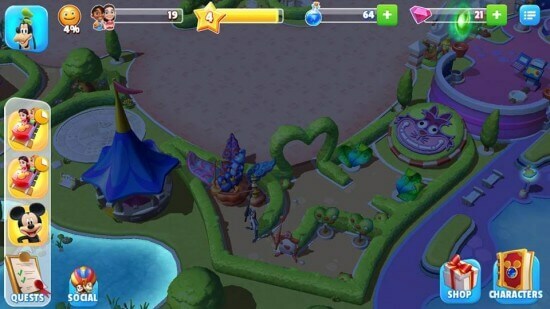 Does waiting for your attraction to build and your characters to finish their quest occasionally become a little old? Yes it does, but it also makes the game last longer. 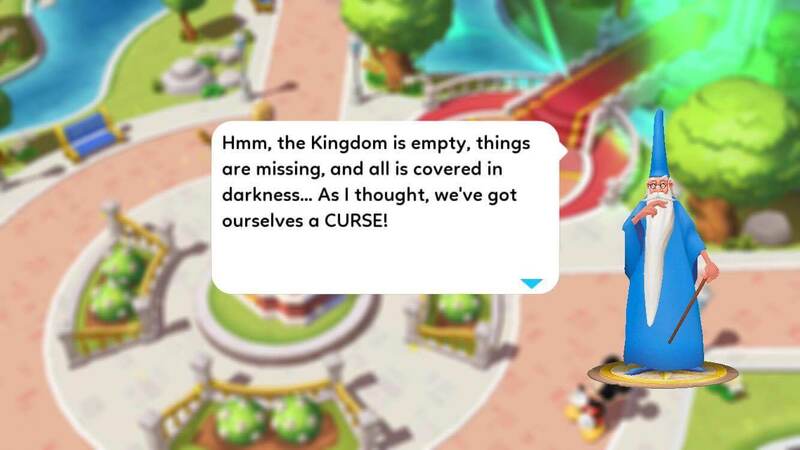 This is not a game Disney planned you to finish in a couple of days, but something much more far-reaching and lasting, which I truly appreciate. I also can’t wait to see what additions will be added in the future or if they may connect it to visits to the real Disney Parks somehow. 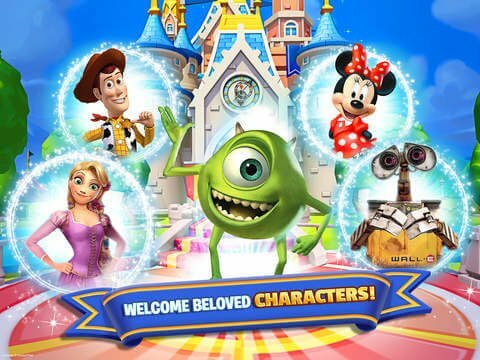 Disney Magic Kingdoms is a fun way to unite your favorite Disney characters and park attractions under one banner, the gamer in me is having a wonderful time exploring everything in this world. Likewise the game pleases the Disney collector in me and makes me excited to see what I will be able to get my hands on in the future. 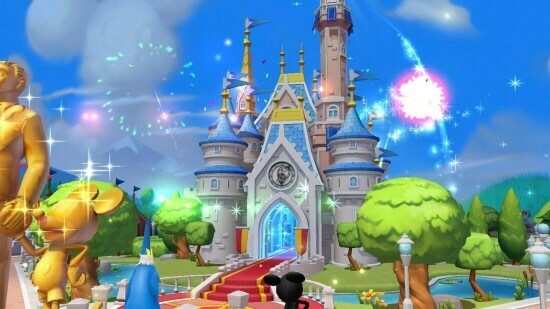 Disney Magic Kingdoms is in my book a must-play for any Disney fan. Disney Magic Kingdoms will officially be released on March 17th but you may be lucky and find it early on iTunes. The game will be available for iOS, Android and Windows devices. Are you excited to play ‘Disney Magic Kingdoms’? 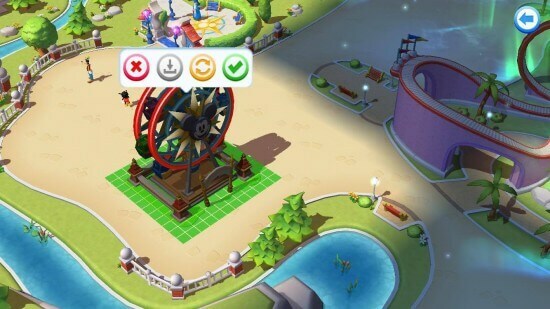 What attractions do you think are a must for the game? The mix of theme-park profit collection with sending the characters on story quests to acquire tokens needed to open up more characters and level-ups. Lots of characters to unlock, though, so I’m giving it a shot to see where the story goes. I can’t find it in the Android store. Saw on a computer it’s available in Itunes but Android, on a computer, says “Coming Soon.” Any idea on the release date for non IOS devices? Kind of disappointed, as it feels like it is really aimed at the under 13 crowd. And maybe it is, but that makes it kind of unappealing for adults after about 2 or 3 hours. I think this is actually a Gameloft title and not a Disney Interactive one. 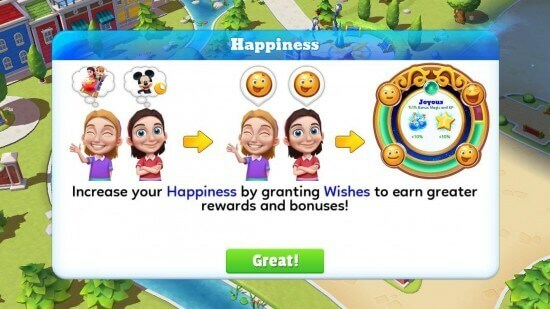 Actually the game seemed interesting to begin with, but as you play it you realize, it is nothing but a money grab exploiting loyal Disney fans. Obviously Gameloft paid the rights to Disney to use their copyrighted material in the development, and launch of this game. If a player wants to progress at any reasonable speed, they must buy Gems, which are expensive. 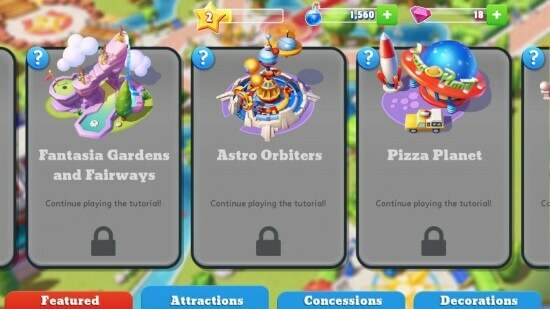 Why they can not just sell the game, and have levels of completion, that open more areas and options lets you this is a continual money grab. 3000 gems, which really just gets you started cost $99.00. To buy lesser volumes of gems, is just wasting your time and money. It is truly sad Disney has allowed companies to exploit their loyal fan base like this. So how much can you actually play without paying for it? Can you eventually earn enough to have fun with it without paying or will you ultimately have to buy something? Like most in-app purchase games, you can wait for the next-day’s power-ups, or be greedy and impulsive and get them now for $2-5. Most games are optional, and the daily casual player has no problem with them. Some might fly a “Buy this exclusive character today only!” special, but that won’t affect the game. 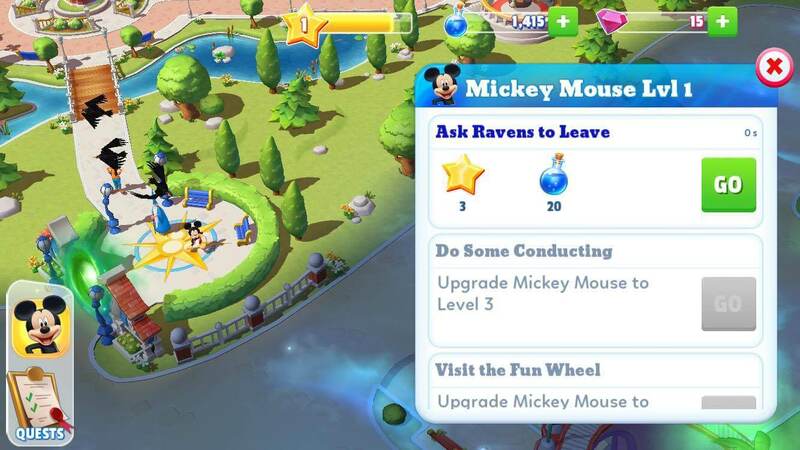 How do I upgrade Mickey to level 2 without paying? I’m up to building the philharmonic but can’t do this until Mickey is level 2. 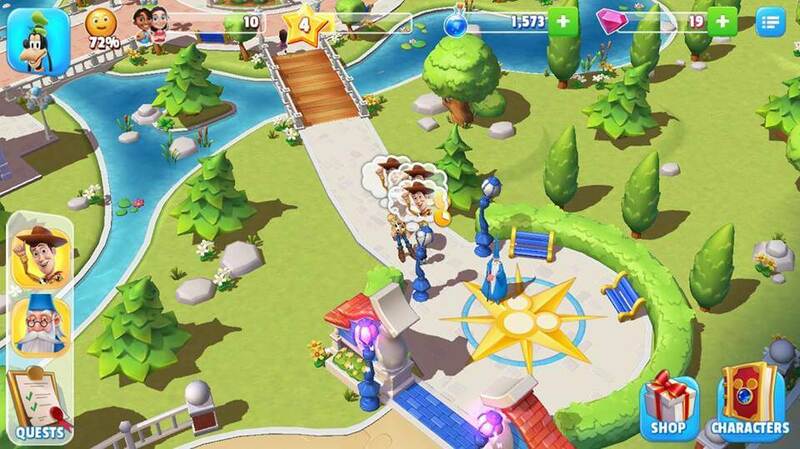 Tap the castle, then find Mickey in the line-up of characters. The things you need to upgrade him are on the left. If everything has a green check, feel free to upgrade! I cannot get the game to allow both of my kids to use it at the same time on their iPads. It will make the first kid shut down the app once the second kid starts up. Is there a way around this so they aren’t linked to the same Game Center account? How do I defeat the trouble maker Pete? What are those songs that are used sort of on a loop? My kids love them, and i want to do a list (I recognize the one Toy Story song). Thank you in advance! When you’re in the app, you can go to the settings at the top right of the screen, then tap “About”. Scroll to almost the bottom and it tells you the titles of all the songs in the game and the artist who composed it. If it says 96, 000 that means that’s the total amount of kids that have visited your park.. Not how many are at your park right them . 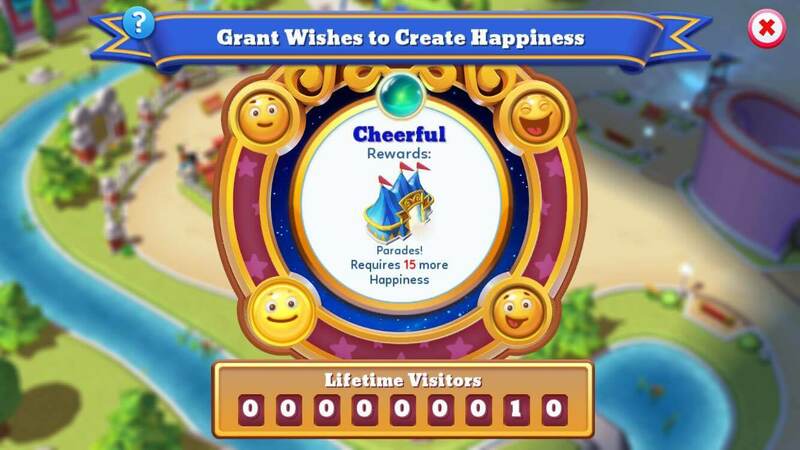 Click on the number or smiley face & it’ll show you that’s the total amount..
I’m having a bit of trouble, I’ve been playing for three days now and none of the kids in my park are wishing for anything. I’ve seen the thought bubbles and have granted the two that I’ve seen, but there have not been any for two days now even when I give merlin the task to collect happiness. Can anyone help me? I have the same problem. No thought bubbles for days and that makes my Happiness go down. It went from 89% to 35% already!!! Happiness goes down really fast automatically.. Sometimes I’ll get it to 98% & the 4th level of happiness, (so max happiness) then when I go back on it’ll be at 88% but the 3rd level of happiness.. I don’t understand why it is being compared to Roller Coaster Tycoon. It has been many years since I played RCT, but the element of that set that game apart from all others of it’s kind is the ability to design and ride each of the rides in the game. 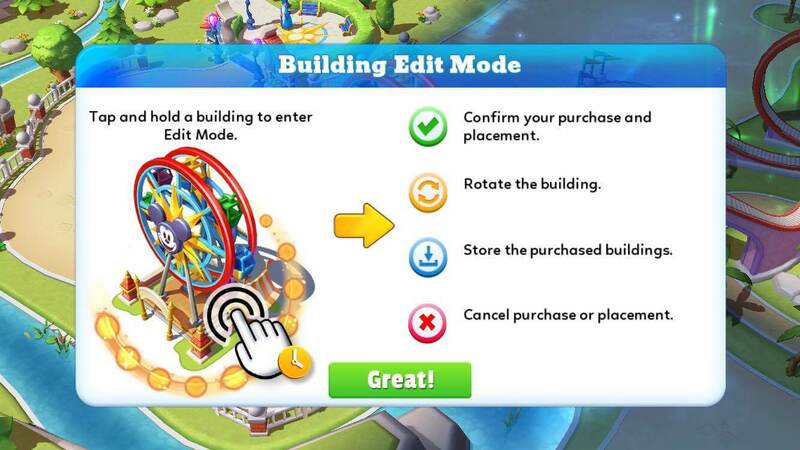 You can’t do that with Disney Magic Kingdoms. 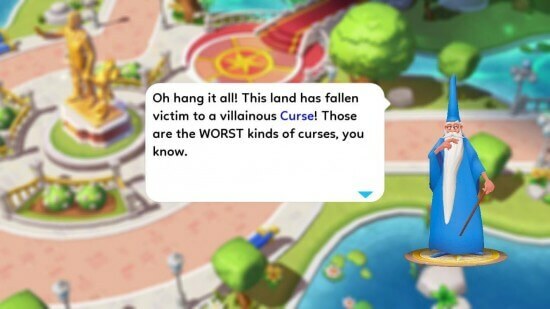 But I do enjoy Disney Magic Kingdoms.. But Roller Coaster Tycoon was the sh*t ! Don’t bother if you have an android. As you progress through the game the bugs become more pronounced, to the point of not being able to move anything. Frustration at it’s worst! Very fun to start! Just not so much later.